I know, I know. I’ve already waxed hyperbolic about this book and recently even. It’s easy to do. Who can question that this book Tyler Chadwick has edited is of enormous cultural significance? It’s astonishing how many excellent poets he found and convinced to participate. But here’s the thing. Even though I saw most of the emails he received during his marathon efforts, even though I even read some of the poems before the collection was compiled (but not many; I didn’t want to influence the editorial decisions unduly), even though the whole book was my idea, I had no idea how good the final product would be. 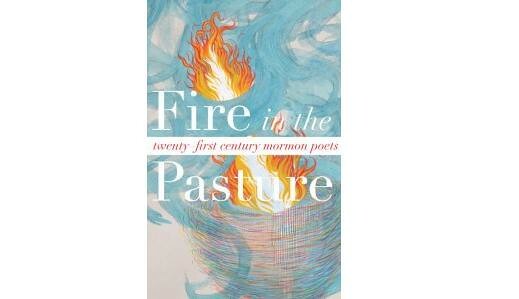 I have on my nightstand now a galley proof of Fire in the Pasture and I get lost in it every night. Hundreds and hundreds of pages of stellar poems from dozens of poets. I don’t know if I’ve ever been so enraptured with a poetry collection before — it’s not something that happens to me much. But this collection is not just important. This collection is good to read. I wish there were a way to show you. Soon we’ll have a free sample for you to download, but I just don’t know how it can compare the with overwhelming pleasures of holding this massive paper tome filled with the best Mormon poetry of the last decade. I want to apologize for this self-promotional post, but I can’t. I don’t feel bad at all. Believe me when I say you need this book. Who says blogging doesn’t lead to more formal work? Tyler beat me to the punch, but I’d like to note that the Summer 2009 issue of Dialogue features fiction by AMVers S.P. Bailey and Theric Jepson and a review by Tyler Chadwick. This comes on the heels of the Spring 2009 issue, which features a review by P.G. Karamesines, and will be followed by a little something by me in the Fall 2009 issue. Add in work by Tyler and me in the Fall 2007/Spring 2008 Irreantum and a fantastic essay by Eric Thompson in the Spring 2007 Irreantum, and the past year has been fairly fruitful for AMV’s bloggers. And there may be more that I have forgotten (pipe up in the comments). Oh, yeah, Theric presented at Sunstone — a paper that was jumpstarted by Tyler and Laura’s Reading Until Dawn project. This is not to mention that three current or former Times & Seasons bloggers are represented in the Summer 2009 issue of Dialogue, plus Dallas Robbins and Juvenile Instructor’s Heidi Harris. I think it’s becoming more and more clear that for many of the new(ish) voices in Mormon Studies blogging is not the end itself, but rather a way to develop ideas, connections and communities. And today’s best Mormon Studies scholars may just need to be fluent in a wide variety of genres/platforms of expressing their thinking. Author WmPosted on 05/28/2009 Categories Literary PublicationsTags Dialogue, mormon arts, P.G. Karamesines, S.P. Bailey, Theric Jepson, Tyler Chadwick30 Comments on Who says blogging doesn’t lead to more formal work?